You are invited to join us for our 15th Anniversary Celebration! 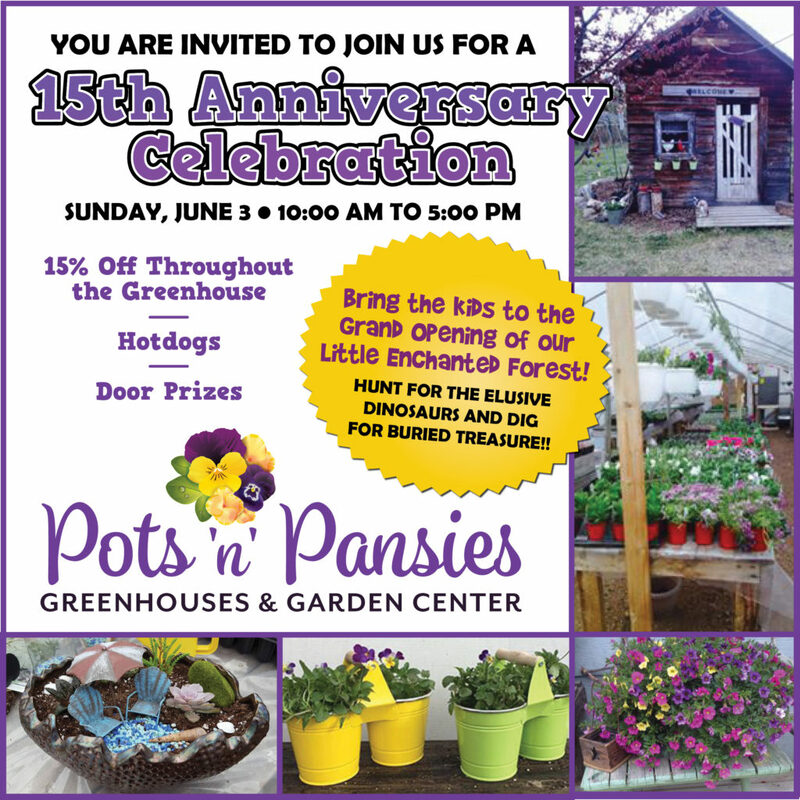 15% off throughout the greenhouses, hotdogs, and door prizes. Bring the kids to the grand opening of our little enchanted forest – hunt for the elusive dinosaurs and dig for buried treasure.